NEWPORT NEWS, Va., June 06, 2017 (GLOBE NEWSWIRE) -- Huntington Ingalls Industries (NYSE:HII) announced today that John Temple has been appointed vice president of strategic sourcing at the company’s Newport News Shipbuilding division. Temple, an Apprentice School graduate, began his shipbuilding career in Newport News’ pipe department. He has worked in quality inspection, cost engineering, and contracts and pricing. Five years ago, he earned the “Master Shipbuilder” designation, which celebrates shipbuilders who have worked 40 years of continuous service. 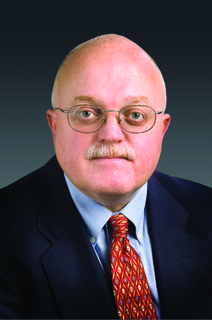 He most recently served as vice president of contracts and supply chain management at the Savannah River Site in South Carolina, a Department of Energy site that Newport News Shipbuilding manages as part of a joint venture. In his new position, Temple will be responsible for all sourcing and procurement functions in support of shipbuilding contracts and clients throughout the design, construction, overhaul and repair of naval vessels. Temple will immediately assume his new position and transition into the job with the help of Rob Hogan, who temporarily served as vice president of both manufacturing and supply chain management. Hogan will continue his role with manufacturing and material delivery. Newport News’ supply chain organization will continue to operate with a broader, more strategic approach, which is reflected in its new “strategic sourcing” name. 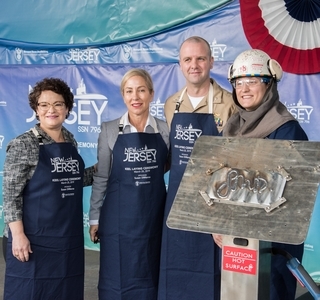 “John will bring four decades of shipyard experience, along with his expertise from working offsite, to continue the great work that’s been underway for the past two years,” Mulherin said.